Recently, I was told that I likely have a form of lupus called “drug induced lupus” or DIL for short. If you had asked me a couple of months ago, I would have had no idea that this existed – but it unfortunately does. I knew about discoid lupus, which mostly affects the skin, and SLE or systemic lupus erythematous, which can affect pretty much the entire body. I never knew that some of the medications that we take to treat autoimmune conditions can actually cause other autoimmune conditions! Not so long before my diagnosis, I heard about a woman taking a biologic drug for her ankylosing spondylitis that caused drug-induced lupus. It sounded so odd to me until I got the same (probable) diagnosis handed to me! Since then, I researched it a bit. While rare with these types of medications, it happens – and it is ironic. Just as certain drugs to treat psoriasis can actually CAUSE psoriasis in other patients, certain meds that are used to treat lupus and RA can cause lupus or a lupus-like syndrome in other patients. There are 38 known medications that can cause drug induced lupus – but there may very well be more out there. In most cases, once the drug is stopped, the lupus symptoms dissipate within a couple of weeks or even within a few days. Unfortunately, this isn’t always the case – sometimes the drug-induced lupus triggers autoimmune lupus or a lupus-patterned overlap syndrome which becomes chronic and stays with the patient for the long haul – though this is rare. Lupus-inducing drugs are typically those used to treat chronic diseases. Again, this is ironic as most forms of lupus ARE chronic diseases in and of themselves! So, what do you need to know about drug induced lupus erythematosus? Less than a “disease,” it is a side -effect of long-term use of certain medications used to fight other diseases. The symptoms of DIL mimic and overlap those of SLE – in fact, it is the same type of condition, just with a different cause. Unfortunately, it is sometimes hard to pinpoint whether a patient’s lupus is drug-induced or not. This is why I say I “probably” have it, and it is a “suspected” case of DIL as of now. 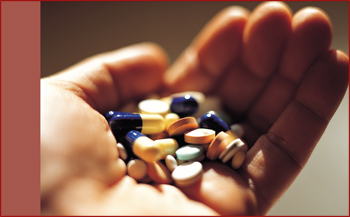 The only way to know for sure is to stop medications one by one to figure out which – if any – are the culprit. If physical symptoms and lab results remain the same, a drug may not be to blame, and it may be one of the other forms of lupus or another similar autoimmune condition. Again, drug-induced lupus is not common, and so you shouldn’t worry. That being said, I always believe that, when it comes to health, ignorance is NOT bliss, and knowing is half the battle – so it is important to recognize that this is something that exists. Tags: Arthritis, Arthritis Ashley, Arthritis Foundation, Arthritis Foundation Mid Atlantic Region, Ashley Boynes, Autoimmune, Awareness, Blog, Chronic Illness, chronic pain, DIL, DILE, Disability, discoid lupus, disease, Drug Induced Lupus, drug-induced, Health, illness, Invisible Illness, medications, medicine induced lupus, Mid Atlantic AF, Mid Atlantic Region, psoriasis, Rheum, Rheumatoid Arthritis, side effects, SLE, Spoonie, Systemic Lupus, systemic lupus erythematosus, Wellness. Bookmark the permalink. This is what happened to me when I was on Remicade; bad thing is, the med was working wonders on my RA! They immediately took me off the infusions and put me on an oral medication which did absolutely nothing for me (except make it necessary for me to take a medical leave of absence from work for 8 weeks). They followed up with lots of blood work until the DIL cleared up. I’m not sure if it does for everyone? I suspect I may have DIL after taking Hydralazine for a year. Pain in joints of lower back, right hip, right shoulder, and fingers. I just don’t believe I got this arthritic in some many places all of a sudden. I stopped the med and my hands have totally cleared up. My hip is 50 % better. Stopped it about a week ago. We shall see.